Bigger the better! Bouncy Boxing makes things equal. You need speed, agility and a sense of humor. This is all round fun, at its best. 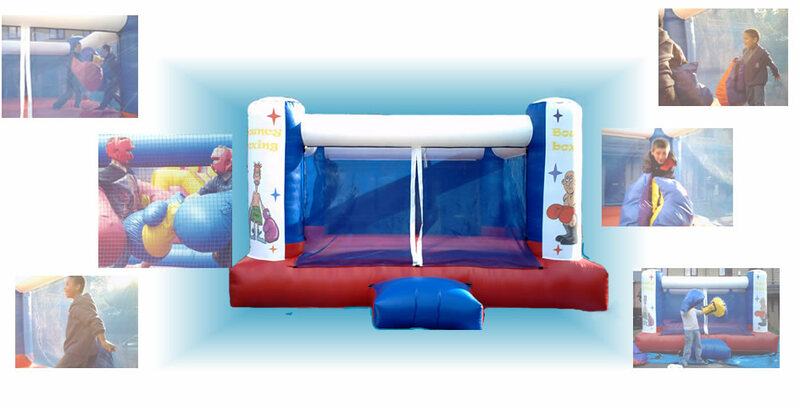 Put a punch into your party with this inflatable boxing ring, oversized gloves and head guards. Oversized gloves provide a cushioned punch, which leaves your ego intact. FUN TO PLAY OR WATCH!